Reports peg the average lifespan of a chief information security officer at just 18 months. Yet a number of Infosec professionals still aspire to be a CISO, and those who have made the grade want more – a seat at the executive table. What follows is sage advice from CISOs who have been there and done that, based on interviews and panel sessions at this week's at ISC(2) Security Congress in Austin, Texas. Bits Twiddler or People Person? One of the first steps in assessing whether a CISO path makes sense is a deep self-analysis, Gordon Rudd, RCB Bank's CISO, told Dark Reading in an interview at the ISC(2) Congress. "You need a certain personality to be a CISO," Rudd said. "Do you want to be a bits twiddler, or do you want to be interacting with people? 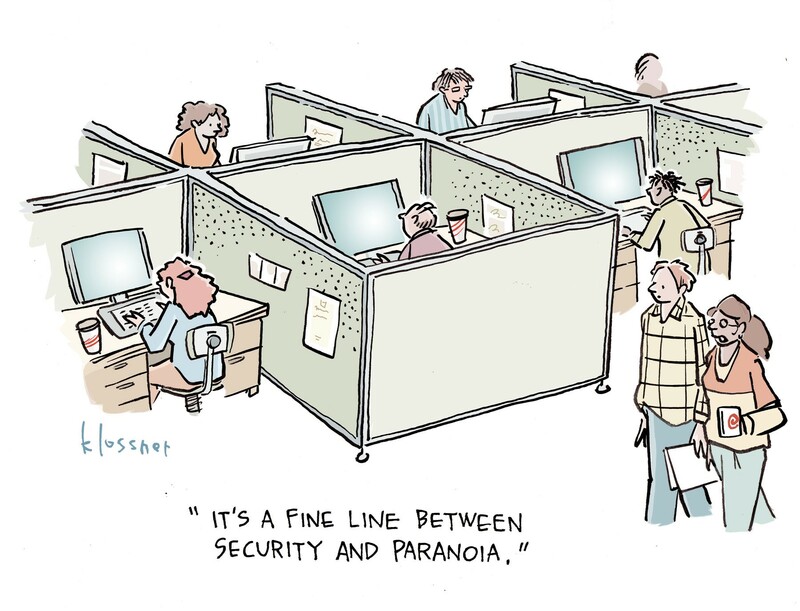 As a CISO, you have to interact with people." Additionally, the role not only calls for leading a security team but also working with executives and, potentially, the board of directors to secure their buy-in on security proposals, budget, and other issues, according to Rudd. Once a decision is made to pursue a CISO path, the next step is finding the right company to join. Rudd divided the landscape into green companies, which are relatively young and growing with little legacy technology, and brown companies that are more mature with a relatively large base of legacy software and hardware. He noted brown companies tend to face greater security challenges, given the technology is older and may no longer be supported with security updates. Newly minted CISOs should also be prepared to network with other CISOs and CIOs. "I like to hang out with people who are smarter than me and who I can learn something from," Rudd said, adding that newbie CISOs should also dress for success: "You need to dress like your boss' boss," Rudd advised. "As a company matures, you want to look more Madison Avenue than surfer dude." CISOs and CEOs often have different backgrounds when it comes to education and career paths, but they are on the same team and have a shared mission: to do what is best for the organization. To be an effective CISO and a greater asset to the CEO, security chiefs need to modify their thinking. "It's a challenge to step outside of the day-to-day of being operational and technical, and to transform yourself to think through the lens of a business leader," John Scimone, Dell's CSO, told Dark Reading during an interview at ISC(2). This lens should takes into account the financials of the businesses that support and overlay areas of the company that face the greatest risk of attack, and also the development of a framework for where the primary concern should lay. "The risk lens can be very different than the revenue lens," Scimone says. "The area that may generate the smallest revenue may also have the greatest risk." CISOs should be talking to their CEO, general counsel and chief financial officer about the value they bring to the mergers and acquisition process, advised Scimone and Amjed Saffarini, CyberVista CEO, during a panel at the ISC(2)'s convention. A CISO, for example, can perform security due diligence on a target company during the general due diligence process, and the results should be pointed out to the C-suite, Scimone suggested. If, for example, the CISO's security team finds massive vulnerabilities in the target company's technology, or the target company had a recent breach, the finding could potentially lower the buyout price, which in turn would make the CISO "joined at the hip" with the CEO going forward. In Verizon Communications' acquisition of Yahoo, the Internet pioneer's massive breach ultimately resulted in a $350 million reduction in the buyout price to $4.48 billion, according to an announcement by the companies. "The M&A conversation should happen early in the process, so the company does not overpay," said Saffarini. When it comes to communication styles, there is sometimes a disconnect between the way a CISO and C-Suite exec talk. Explained Rudd: "Management wants a simple answer to a question versus a long answer. But since we have come up from the technology ranks, it's likely we give long answers [making] the CEO look like a deer in headlights." CISOs should explain "why" certain actions should be taken before they delve into the "what" and "how" of a situation, advised Mark Adams, Optiv Security's executive director of consulting services, who spoke on an ISC(2) panel. Michael Eisenberg, Optiv Security's vice president of executive consulting, added that it is important to talk to the C-suite about the outcomes of security actions, rather than the technical solutions to be used. CISOs also need to have the courage to shine a bright light on issues that others are willing to sweep under the rug. If a network operator is not willing to deploy a security patch for fear it will either break the system or require the system to be taken offline, Rudd said CISOs should be prepared to move the issue up the chain of command. Bottom line, according to Rudd: "CISOs have to have the courage to say that our systems aren't any good."